We are once again at that time of the year where we have to try & convince new importers & sometimes existing importers to speed up their decision making due to the approaching Chinese New year holiday. When they ask us the dates and realise it’s nearly 3 months away, they are bemused as to why we are pushing them. You could potentially get three rounds of production completed in that time, then why the fuss? So this series of posts will go into the nitty-gritty of what happens in China & in particular in Chinese factories during the Chinese New Year, how it impacts importers and how they can be better prepared. As I have quite a bit to say on this subject, I will make this a multi-part post. What is the Chinese New Year & why is it such a Big Deal? 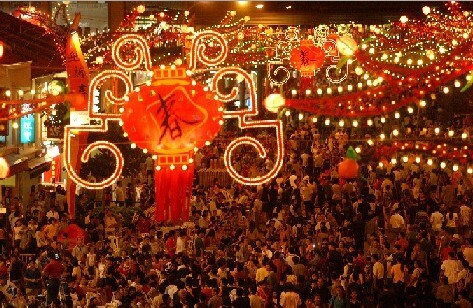 “Chinese New Year”, also called the “Spring Festival”, is the most important festival in China by a long way. It’s the Christmas or Diwali of China only on a much grander scale. Because the date is decided based on the lunar calendar the exact date varies each year but normally falls between mid-Jan to end of Feb. The variable date is one of the factors that adds to the confusion & planning complexities. The Chinese New Year is extremely important to the Chinese people as this is the time of the year when gifts & “Red Bags” are exchanged and people get to spend time with their families. This is even more important for blue-collar workers, as often this is the only time of the year when they get to see their families. This is because a majority of the factories in China are located in the coastal regions while traditionally factory floor workers come from far flung inner regions, often leaving their families and sometimes young kids back home. This time of the year therefore, holds significant “emotional value” to the people of China. Finally, it is a big deal for both suppliers & importers as good planning & organisation goes a long way in ensuring that the Chinese New Year does not impact inventory levels, quality issues are avoided and costs are kept under control. It is easy not to appreciate the scale of the event if you have not been in China during this time. As per numbers from China’s National Development & Reform Commission, approximately 3.62 billion trips were made during the 40-day period surrounding the Spring Festival in 2014 making this the largest human migration in the world. A majority of this is workers going back & forth to their hometowns but it also includes families travelling in & around China during the holiday season to visit relatives and friends. How long does the Chinese New Year Holiday last? The official government holiday is 1 week, however that number is hardly relevant. As a fairly acceptable rule of thumb, most service oriented companies in international trade industry like sourcing, quality control, logistics, etc. 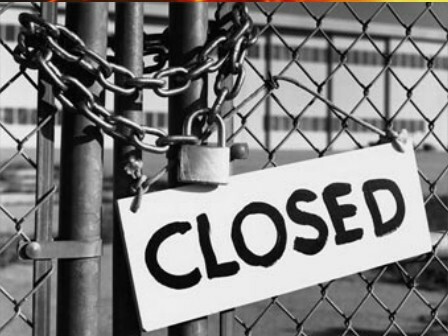 would close down for a period of 2 weeks. With factories it is a little bit trickier. The office staff of the factory, which includes management, admin, sales etc. is normally off for 2 weeks and in some cases the really ambitious “incentive based” salespeople are still on their laptops answering emails and not letting any orders slip by. However, without labour the production STOPS! Labourers tend to go on a much longer holiday, with a minimum of 4 weeks in most cases. The first time Westerners hear about a month long holiday, they find it hard to believe it, but these labourers really earn it. As mentioned above, this is pretty much the only time of the year they go back to their hometowns to see their family. The Chinese factory labourers normally “accumulate” holidays during other important holidays such as the National Day (Normally a week long holiday) by working overtime. Another factor affecting the length of the holiday is whether the worker is from a far-off province or from within the same or nearby province. The latter may leave a bit later (As they may have other opportunities to see their family and have shorter travel distances), while the former group would try and get on an earlier train. The Chinese factory floor workers often leave at least 2 weeks before the Chinese New year date and in some cases up to 4 weeks in advance as it is very difficult to get hold of “Train Tickets” during this time. The return date is normally linked to the “Lantern Festival” which comes 15 days after the Chinese New Year date. Just after the Lantern Festival is when the first “Returnees” start to show up. The time-frames in terms of how things move before the holiday depend on factors like the size of the clients and factories, complexity of the production process, raw materials/components needed and the professionalism of the parties involved. In short: Large Factories/Clients tend to plan & move early & products with large number of components/Raw materials require earlier planning. As with anything else, “exceptions apply”. There are small and medium sized factories and importers who are very well prepared and have strong production planning and scheduling in place to make sure this period is managed as smoothly as possible and there are large factories and importers that make costly mistakes during this period. There are stories of large retail stores losing millions of dollars in lost sales due to lack of inventory caused by poor planning prior to the Chinese New Year holiday. What Happens Before the Chinese New Year Holiday? Well organised factories would normally send a notice to their large clients around Sep-Oct asking them to place their final orders that need to be dispatched before the Chinese New Year holiday, normally with a warning that orders placed after this time would most likely be dispatched after the holiday. During this time and especially 2 months before the holiday, factories are under pressure from multiple clients to ensure that their goods are dispatched before the holiday. At the same time, floor workers are working over-time to ensure factory’s orders are completed and they can earn as much “incentive” as possible so they can go back home with maximum possible incentive income. The combination of the above two factors is a perfect recipe for quality problems. Therefore, during this time it is the responsibility of the factory to put strong quality assurance in place as well as that of the client to ensure their quality inspection procedures are tighter than usual. It is not uncommon to see quality problems even with regular repeat orders. What Happens During the New Year Holiday in China? Other than the 1-2 week period, where the sales & admin staff is also on holiday, most of your contacts at factory should remain active. It is still possible to get quotes for most products from factories. Factories will continue taking new orders too although these would go on the production line once the floor workers return. One of the issues to be aware of at this stage is that “salespeople” may give unrealistic and unachievable delivery times in order to get your orders or simply because of lack of coordination with production planning or even because the production itself doesn’t know what the order situation would be post-holidays. So don’t be surprised if you do not get those orders on time. More on that in the next section. During this time, most factories would spend their time developing new samples, as normally their best workers (Sample masters) would stay back and work with the team to develop new samples to be promoted next season. Good factories also use this time to put a production plan in place as well as plan their raw material purchasing so that once their workers are back, they can get straight down to business. This is also the time, when factories settle their accounts with their debtors & creditors so that they can start the New Year on a fresh slate, so be prepared to receive payment requests for any dues you may have with the factories. What Happens After the Chinese New Year Holiday? With more and more manufacturing moving away from coastal regions in the last few years, workers are finding more opportunities closer to home and prefer these due to the proximity to their family and friends. During the holiday, workers often meet their friends who introduce them to new & more lucrative opportunities which they often take. This means, each year the factory loses a major chunk of its blue-collar workforce and needs to scout for new workers. This is truly an HR nightmare. I have spoken to factories who have lost as much as 50% of their workforce during these times. It is very much a workers market in China now and therefore factories who offer good working conditions & treat their workers fairly often have better retention rates and tend to attract new workers more easily. It is important to note that not all workers return at the same time and the first batch of workers come back just after the Lantern festival, with others following within the next few weeks. What this means is that while production resumes with partial workforce, it is not in full swing and coupled with the fact that factories have orders piled up during the holiday, delays are expected and production times tend to be longer. The other key factor that may lead to delayed production times is the fact that factories need to place their raw material orders with their suppliers, but these suppliers have their own backlog and hence the factories dependent on the raw materials cannot proceed with the production until they get these materials. 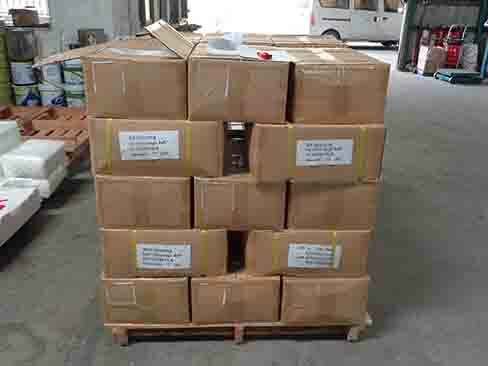 Once again, the more raw materials needed to make the product, the longer this waiting time would be. Coming on to the workers perspective, during the 1 month long holiday, the workers would have normally spent all those bonuses buying gifts for friends & family & treating their family members and are once again out of pocket. Coupled with the fact that they are re-energized after a long holiday the workers are now looking for factories that have orders piled up so they can once again work extra hours and make some money. Heavy workload at the start of the New Year makes the worker believe that the factory is a good bet and will have enough work throughout the year and hence if at this stage the factory doesn’t have orders lined up & overtime opportunities, workers are quick to jump ship. For clarity of some of the Western readers, most of these workers do not care about work-life balance. Their ideal job is one that offers the “Opportunity to earn maximum possible incentive”, which is a major part of their earning. I would be writing a separate post on the compensation systems in Chinese factories at a later date to cover this. In the second part of this series, we will look at production timings during Chinese New year, factories criteria for prioritization of clients as well as effects of the Chinese New Year on production quality. This entry was posted in China Sourcing, Chinese New Year, Logistics and tagged China Manufacturing Practices, Chinese New Year, Spring Festival by Ashish Monga. Bookmark the permalink.